Watch this video to learn more about how our new Contractor Locator can help grow your business. We'll automatically create your listing with the information you provide about your company. We only show listings for contractors who install State water heaters. Once you have enough points through Contractor Rewards, we'll publish your listing and send the welcome email with a username and password that will enable you to manage your listing and your dashboard. Your company listing position is driven by the number of codes you enter into Contractor Rewards. The more codes you enter, the higher your profile. It's just our way of saying "thanks" for selling more State water heaters. Read our "Tips for success" to learn how to get the most out of this program. Homeowners and business owners who visit www.statewaterheaters.com need your help. We're making it easy for them to find you by publishing local plumber profiles directly on your product pages. Be seen in "Where to Buy"
Our map-based "Where to Buy" section helps visitors discover nearby plumbing contractors. Your codes from Contractor Rewards help you rise to the top of the list. View a brief demo of the new functionality. Every code you enter helps increase your visibility on our site. It also helps you get great stuff - for free! Contractor Rewards sends emails with updates and occasionally provides opportunities to earn extra points. Those points count toward your profile ranking on www.statewaterheaters.com. 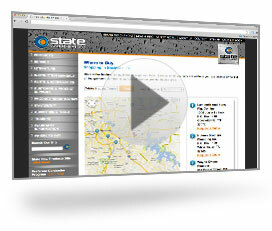 Linking to www.statewaterheaters.com helps people find us on search engines like Google and Yahoo. And we're committed to helping those people find you. Contractor Rewards is a loyalty program for professional contractors. When you enroll in Contractor Rewards, you'll be able to earn points for installing products from several manufacturers, including A. O. Smith. Every State water heater has a unique code that you can claim for points. These points can be redeemed for free merchandise and also help your profile rise to the top in the "Where to Buy" section of our website. Enrolling in Contractor Rewards is easy. To sign up for your free account, please visit www.contractorrewards.com. To reset your password, enter the email address that you use to sign into Contractor Rewards below, and click "Reset My Password". We'll send instructions on how to proceed. If your account with Contractor Rewards is less than 30 days old, we may not have created your account yet. We'll send your welcome email as soon as your account is ready for your review. For help with products or programs, please contact our customer support team. Not interested in receiving leads from homeowners? We understand. For help with your Company Listing, please contact the web team below.